Despite its tropical appearance, tulip trees endures harsh winters and prefers the climate of the Northeastern United States, where it originates. It has big flowers resembling tulips, and it comes as no surprise that it’s closely related to magnolia’s. 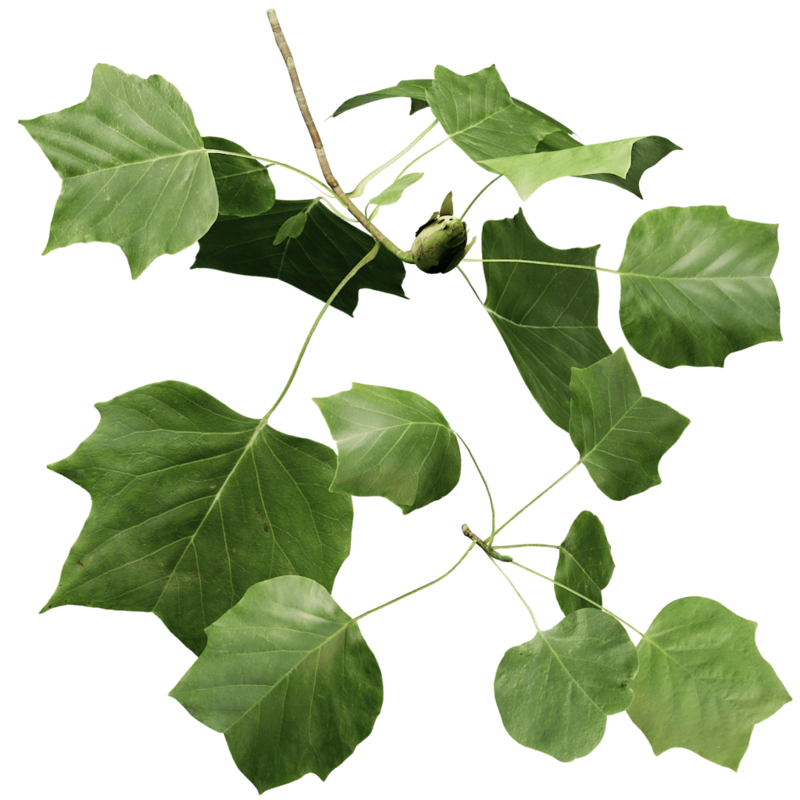 Unlike magnolia’s however, tulip trees are not at all shrublike, their immense posture dwarfs even oak trees. This twig was created from a tree in late summer, when the flower had long gone and turned into a tall pointy fruit. This is a set of two twigs, one lateral twig and the other an apical twig with the bigger leaves and the fruit. Together they beautifully capture the essence of the tulip tree. Start with the black alder preset. Tulip trees are often used as ornamental trees in city parks, their base being trimmed up to a height of about 4 meters. The twigs are quite hefty and weigh down the branches. Up the leaf weight to 0.1.